I'm going to say something that may surprise you. Bernie Eccelstone has been right in saying the current formula is absurd and that urgent change is required. Luca Montezemolo too. No, really. The only problem however was that they both have been saying it for the wrong reasons. Forget the fuel limit and flow regulations, the engine noise, the apparent complexity of the new formula or (before Bahrain at least) the supposedly tepid action served up on-track. The matter really requiring urgent action is what the 2014 F1 driver apparently is required to do to keep their weight down. From an already extreme situation in previous years drivers now appear to feel obliged this season to reduce their weight even further, and - aside from no doubt making their lives highly unpleasant - to unhealthy and potentially dangerous levels. For a good few years it's been the case that upon laying eyes on an incumbent F1 driver it strikes that there isn't an ounce of fat on them; that they seem made up of bone and not a lot else. But many of the breed in the 2014 campaign have looked even by previous comparison conspicuously gaunt and pale, redolent of one in the process of recovering from a serious illness. Jenson Button has mentioned that some drivers haven't been taking carbs on board for a week before races. Worse, drivers have been talking about their not hydrating, in order to keep their weight down. This appears to include both before and during races; both Adrian Sutil and Fernando Alonso have said that even in Malaysia - probably the hottest and most sapping race on the calendar - they didn't have an on-board water bottle. 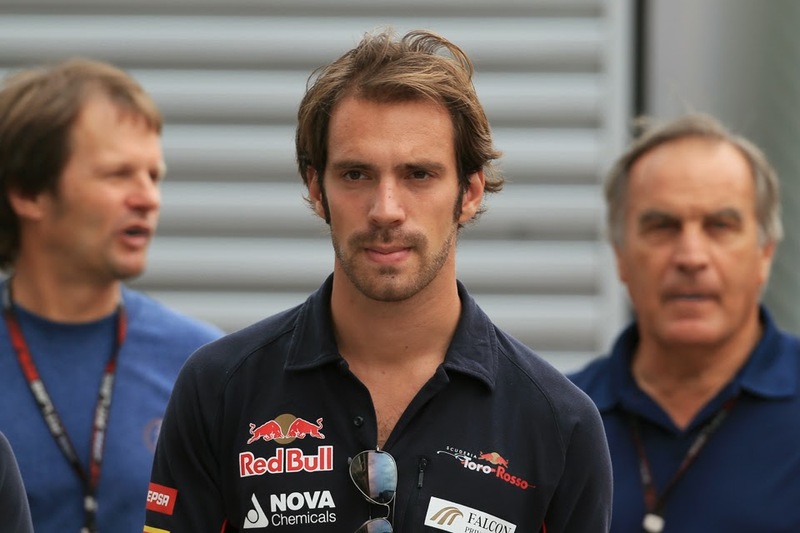 And it's having an effect on the drivers' very well-being; one unnamed driver passed out at a PR event prior to the Malaysian race, while Jean-Eric Vergne has admitted to being hospitalised after the Australian round after problems resultant of his weight getting too low. Of course, desire to keep the weight down of a Grand Prix car - which by extension will always include a driver - isn't a new thing. Going back Lotus ringmaster Colin Chapman was synonymous with forever seeking 'lightness' to the point that, among other wheezes, he could often be seen before races pacing between his cars and shaving the fuel level as low as he dared (and running out in late laps became a Lotus bugbear). And no matter what the regs say regarding minimum weights, given a choice between weight attached to a driver and that from ballast that you can place on the car where it's most beneficial for speed (ideally low down) any engineer will choose the latter. Also the sport has in some ways improved over time. Before 1995 it was the case that the minimum weight applied to the car only, meaning in the most basic sense the lighter the driver the better, and I recall from that era it often being commented how much quicker in effect a heavier driver would have to go in order to in practice just keep up with a lighter team mate (Alain Prost vs. Nigel Mansell at Ferrari in 1990 was one such example), often amounting to several tenths per lap. 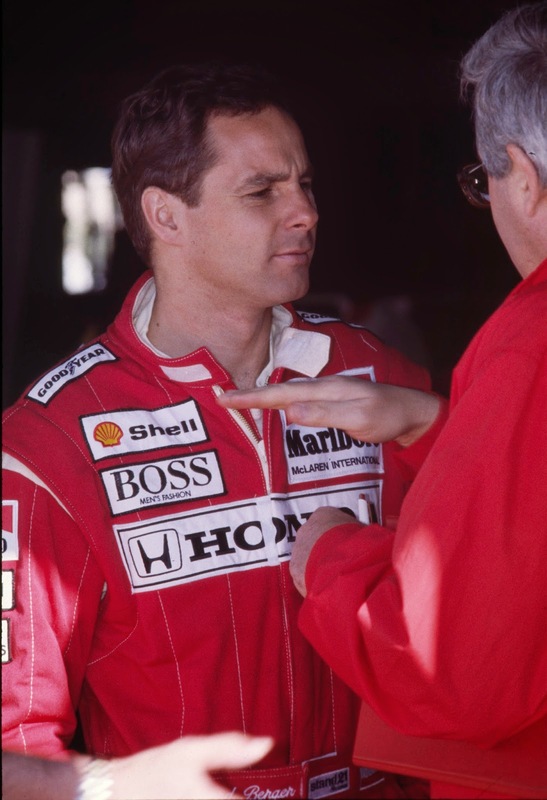 In this ilk taller drivers such as Gerhard Berger would frequently bemoan the disadvantage they faced. Since 1995 however the minimum weight instead has applied to the car plus the driver, in an attempt to create an equalising effect - i.e. heavier drivers would have lighter cars and vice versa. Though given the considerations of moving ballast around being beneficial the matter was merely mitigated by this; it didn't ever go away altogether. And as mentioned drivers being rake-like continued to be a sight of increasing frequency. But the problem is that this year matters have just been taken to too much of an extreme. As we know a consequence of the new rules is that the cars are heavier, and indeed the minimum weight for car plus driver was increased by 50kg for this year to reflect this. But by common consent this cuts things just too fine, many cars are currently overweight and drivers it seems are expected to bear some of the load (or rather shed some of it) in assistance of their car's lap times, via a combination of dehydrating and shunning food. A 10kg increase to the minimum weight is coming in for 2015, but a move to bring it in for this year was wrecked on the rocks of not getting unanimous support (the name of the diminutive Felipe Massa keeps being banded around as one blocking it though I'd imagine that he's not the only one). As is usually the case these things are rather skewered by the self-interest of the participants. But that's to be expected, as no one in this game can be expected to give up competitive advantages willingly. So that leaves us with the FIA, which surely must act now. Yes we all know about the supposed limitations of the FIA's powers. But we also know that it has the right to act arbitrarily on safety and on force majeure matters. Surely this can be classified as such, both in terms of the protection of the drivers' welfare generally as well as of the resultant increased risk of black-outs from these extreme diets, which presumably are most likely to happen under the stress of the race itself. And of course if a driver was to black-out behind the wheel during a race the danger to themselves and others could be considerable. If it was to happen at the exit of the tunnel in Monaco, or at Eau Rouge in Spa, and in either case with a pack of cars behind, the resultant carnage absolutely doesn't bear thinking about. 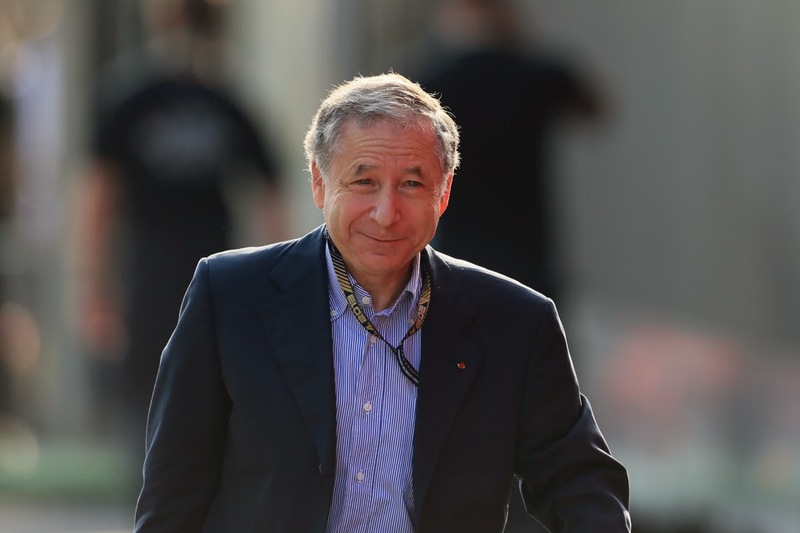 FIA President Jean Todt should act - but will he? The FIA could start with bringing the proposed 10kg minimum weight increase for 2015 in now. It could further tackle the issue by introducing a system similar to that in some other motorsport series, wherein there is a minimum weight for the driver plus their seat. Therefore heavier drivers can run with a lighter seat and vice versa, and it heads off most of the considerations of having the benefit of moving more ballast around the car if the driver is lighter. This would not only head off the abuses that we are witnessing now, it would have an auxiliary benefit of ensuring that F1 is a sport which rewards drivers on the basis of talent - I don't know about you but this is just the way I want it - rather than one wherein some get advantage based purely on the luck of their height and build. Some have argued that the current situation in F1 is no different to the likes of basketball where we know that tall participants are at an advantage, or of any number of sports (rugby, gridiron etc etc) wherein being large more generally helps you prevail. But the crucial difference is in those other sports it's hard to see what can be done about it (in basketball it's hard to imagine they'd ever make the hoop lower to help those vertically challenged), but in F1 we can do something about it. However it doesn't appear that FIA President Jean Todt is minded so to do. We know that he generally is much less confrontational that his predecessor Max Mosley. Sometimes this is a good thing but it definitely isn't here. Worryingly too, when asked about the driver weight matter since Vergne's hospitalisation Todt's view seemed almost flippant, commenting: 'I don't think you go to hospital because you are on a diet'. If the worst happens as a result of F1's latest intoxication by folly, those words will hang especially heavy.